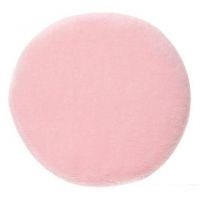 These washable powder puffs are a must have for any makeup artist. Prior to washing stick a safety pin through the centre of the powder puff, this will keep from getting moved around in the wash, then just put it in the wash. Select colour preference. Some colours may be unavailable.